Living Arrows 1/52 – The first picture of the year! Bonjour lecteurs! Today is our first official picture of 2018! Technically, it was taken last week so it is a pic of 2017 but it is our Living Arrows 1/52. And what a way to start another great series of memories! 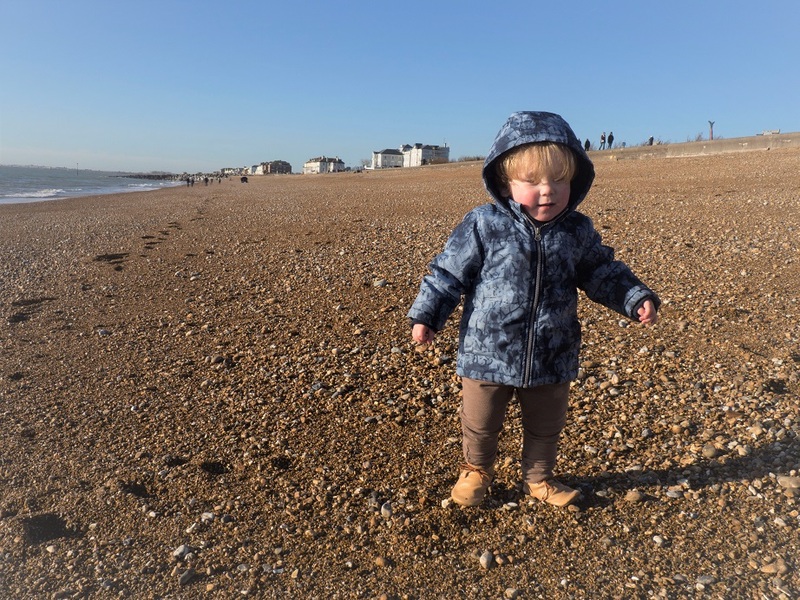 Baba went to the seaside and he loved it! I started joining in this photography linky exactly a year ago and I must admit I have not always been good with it. There had been many times when I did not do it as I was always rushed to do other things. But looking back at the pictures I shared, it is so lovely to remember those memories. After all, I started this blog so that I could keep a diary of our family life. So I will make it a priorité to publish our weekly pic. 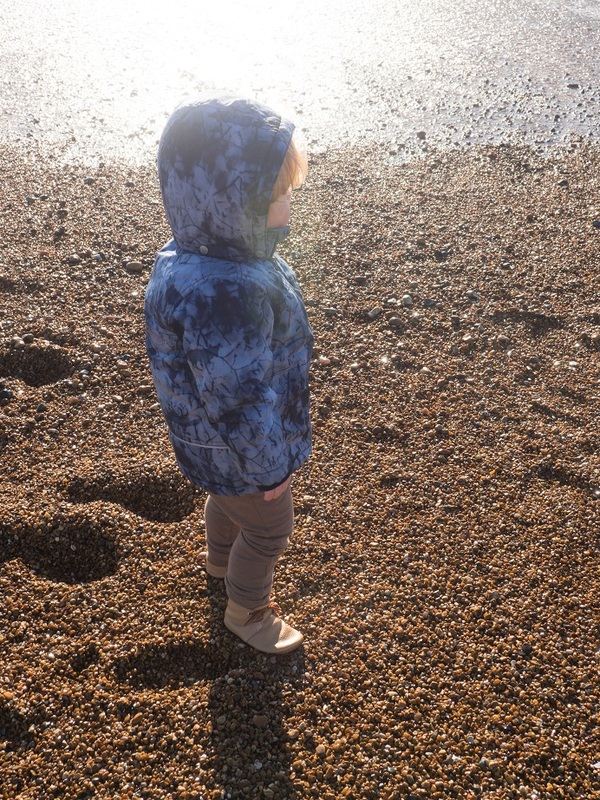 Living Arrows 1/52 – Baba went to the seaside! After celebrating Christmas and being spoilt rotten, we spent one night away in Hythe to see Grumpy Boyfriend’s dad. It was nice to get away from the house and the hotel was lovely. Not only we had a great stay but Baba enjoyed walking along the seashore. Frenchie Mummy was not sure about this idée at first as he was wearing some gorgeous leather shoes… But le Frenchie bébé was having so much fun! I hope you had a restful end of the year, spending some time with your famille! We watched so much TV and it was really relaxing not to think about work and simply enjoy the moment! I love the beach but only really go in summer, it looks just as beautiful in the winter! Gorgeous photos, he looks like he is thourougjly enjoying his amble along the beach. 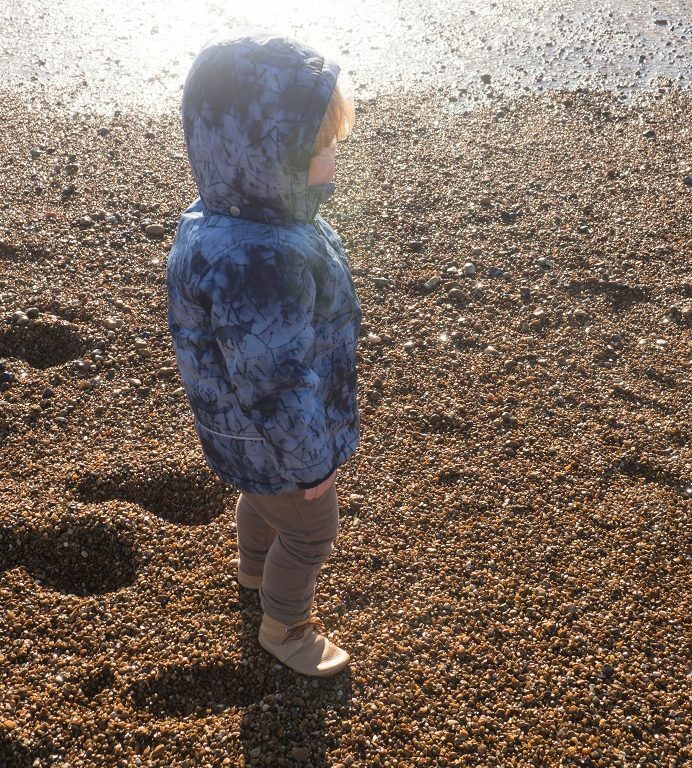 We much prefer the beach in the cold weather! It’s so quiet and peaceful and you very often have the entire beach to yourselves. The children love going, no matter what the weather is.